We are proud of our school and want our students to be also. Several ingredients go into making an outstanding school. No school can be exceptional without students and staff who have the desire to excel in all areas of the operation. You must have the desire to be the best! A friendly atmosphere between students and teachers is essential if we are to work together to create a school where maximum learning can take place. Teachers are always available to assist students to be the best they can possibly be. Students will have many opportunities at Triplett Tech such as participation in SkillsUSA, internships, and work-based learning experiences. All students are encouraged to take advantage of these great opportunities. This school belongs to everyone! Even though you come from different home schools, you are not red, blue or purple. You are green! We are Triplett Tech! Triplett Tech SkillsUSA students recently participated in the SkillsUSA State Leadership Conference, which was held on April 12-13 at the Virginia Beach Convention Center. 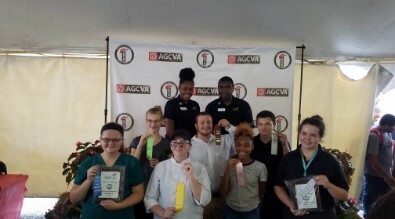 Seven of those students advanced to compete at the National SkillsUSA competition June 24-28 in Louisville, Kentucky. 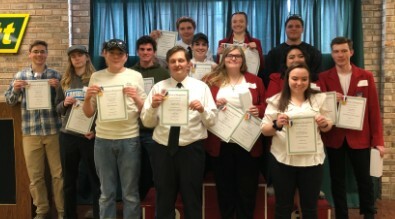 Students who placed first in the District 10 Competitions, that were held in February at Triplett Tech qualified to compete at the state level. 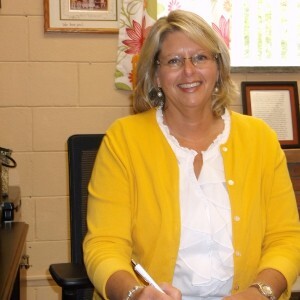 This is the largest number of students to go in recent history, said Connie Pangle, principal at Triplett Tech. “What is so great is we have seven single event winners. None of our gold medal winners were part of a team event. So Triplett Tech is the best in the state in all those events,” Pangle said. “For Triplett Tech students to be the best in the state in seven areas is a testament to the outstanding instructors and high quality programs we have at Triplett,” Pangle said. • Chris Hall, automotive and light repair. • Blake Dysart, industrial motor control. • Joseph Asbridge, masonry-post secondary. • Joseph Foltz, motor service technology-post secondary. • Andrew Daughtery, motor service technology. • Angel Viniegra-Quintanilla, restaurant service. • Kamryn Custer, silver medal, culinary arts. • Matt Avvenire, bronze medal, carpentry. • Summer Sypholt, bronze medal, first aid/CPR. • Charles Williams, bronze medal, food preparation assistant. This website is in the process of being updated to ensure compliance with Section 504 of the Rehabilitation Act and Title II of the Americans with Disabilities Act. Any website accessibility concerns may be brought to the attention of JC Davis, Triplett Tech Webmaster, at jcdavis@shenandoah.k12.va.us.